At Nilo J. Sanchez & Associates Tampa family law firm, we represent clients who are seeking child custody modifications or, who have been served with a petition to modify or relocate the children. 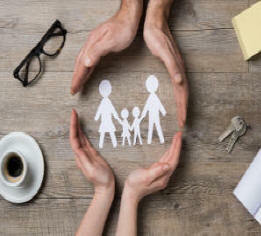 (See definition of parental relocation, below) If you have been served with a lawsuit regarding child custody it is imperative that you know your rights and Florida law pertaining to child custody and timesharing. In Florida, once custody has been established it must be proven that there has been a substantial change in circumstances since the final order. If you are wondering if you should petition the courts for a modification of custody, keep in mind that it must show both that the circumstances have substantially, materially changed since the original custody determination and that the child's best interests justify changing custody. If you would like to schedule a consultation with Tampa child custody attorney Nilo J. Sanchez & Associates to discuss your case, please contact our office at (813) 879-4600. If the parent who you are sharing custody with agrees to the relocation, or other aspects of the timesharing agreement, there are certain steps you must take. It can be achieved without a hearing by asking the Judge to approve the change without a hearing as stated in the Florida Statutes. (b) If there is an existing cause of action, judgment, or decree of record pertaining to the child’s residence or a time-sharing schedule, the parties shall seek ratification of the agreement by court order without the necessity of an evidentiary hearing unless a hearing is requested, in writing, by one or more of the parties to the agreement within 10 days after the date the agreement is filed with the court. If a hearing is not timely requested, it shall be presumed that the relocation is in the best interest of the child and the court may ratify the agreement without an evidentiary hearing. For information or a consultation regarding relocation when the other party agrees, call our family law firm for a consultation. When the parties do not agree, and one wishes to relocate to the child or children it is first important to understand the definition of "relocation" according to the Florida Statutes. When petitioning the courts for relocation with a child, the petition must be written and filed with the courts properly. 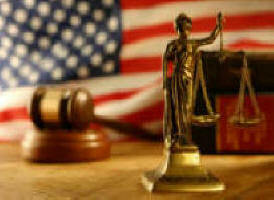 In this case, the party or parties to the case will have a certain time frame to object to the relocation. If there are objections, a hearing will be held. At that time you or your attorney will have to convince the Judge why you should be allowed to relocate the child. You may not relocate your children or child without an expressed order from the courts even if there are no objections. It is wise to consult with an experienced child custody attorney when it comes to relocation prior to making any decisions that are not in compliance with your original parenting plan or order. Call our family law firm in Tampa at 813-879-4600 and we would be happy to discuss your options with you. TAMPA CUSTODY LAWYER FOR MEN & WOMEN, PROTECT YOUR PARENTAL RIGHTS!